The original cast includes: Heather Potter, Graham Potter, Alison Oldfield, Olivia Oldfield, Heather Oldfield, Sydii Haque, Shazeda Haque, Saudii Haque, Adrian Bird, Wiebke Bird, John Barker, Maria Barker, Andy Gardiner, Tomasz Dyl, Yasha Beresiner, Lee Goldfarb, James Howarth, Rebecca Howarth, Russell Howarth and Mandy Howarth. 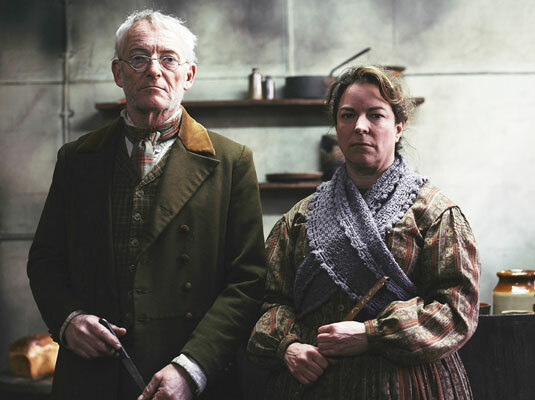 Victorian Slum House is the latest installment of the historical "house" reality shows that the British do so well. 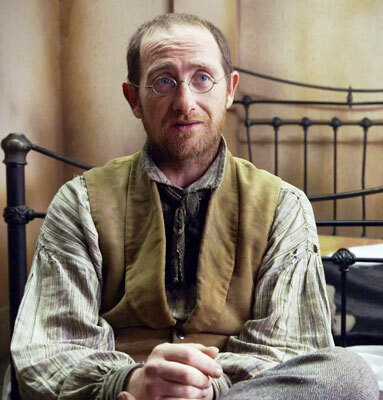 Set in the Victorian era, we follow 21st century residents (20 in all) as they journey from 1860 to 1900, living in a run-down East End London period tenement. All of the slum residents have ancestral ties to the era and their passion for discovering common connections is what makes this series so fascinating to watch. 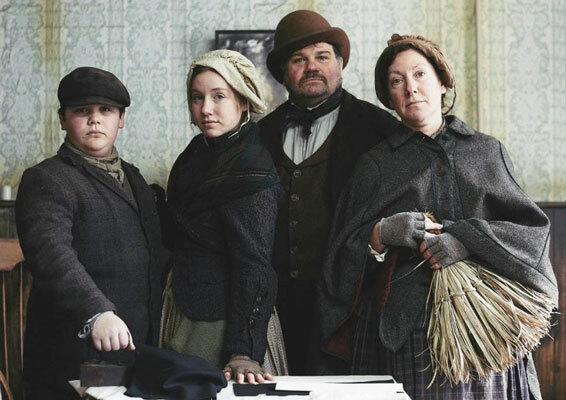 Presented as part documentary, part reality show, Victorian Slum House centers on each family as they struggle to make sense of the customs, lifestyle and mindset of their newly-acquired poverty status. They find themselves trying to apply a modern approach to managing a small tenement store, selling wares on the streets, collecting rents, and doing garment piecework to survive. Each decade sees them all change their positions - some leaving and others prospering, as we cheer them on through the social, economic and political changes that faced the Victorian working class. 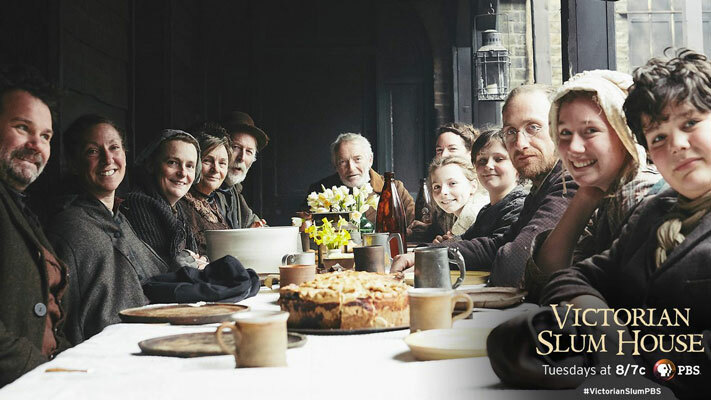 What is striking about this show is the realization that many modern working-class families can relate to the harsh conditions and attitudes from government agencies and the private sector. The class conflicts so prominent here are easily recognizable to many 2017 citizens and that makes for the old adage, "The more things change, the more they stay the same." Yet residents of the House meet their challenges in much the same way as their ancestors did - with wit, wisdom and true grit. 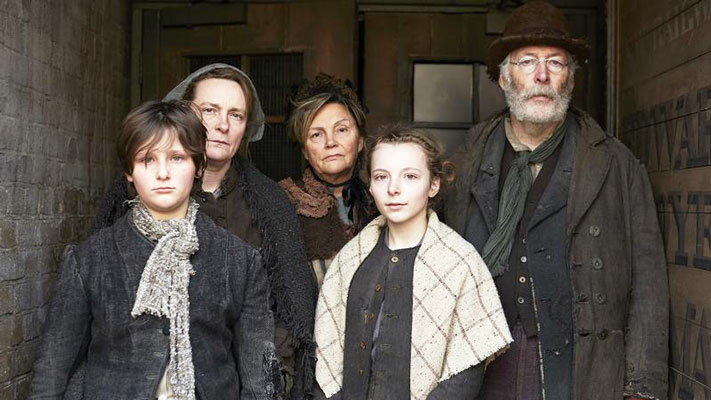 The only drawback to Victorian Slum House is that the entire cast was not included in the final sit-down dinner at the end of the fourth episode, nor did viewers ever find out what happened to the two families (shown here below) after they left the House. For those who can't get enough of historical reality shows - especially from England - DVD collections of The 1900 House, The 1940s House, The Edwardian Country House, Regency House Party, and Coal House are available from PBS, as well as USA historical reality shows like Frontier House, Colonial House, and Texas Ranch House.